B-721 of the Banglasesh Defence Force. • IM-1713 Indian Air Force. Delivered 26-Dec-1957. • B-721 Transferred to the Bangladesh Defence Force, Air Wing in May 1973. Note: At Bangladeshi Armed Forces Museum by 1981. Otter 211 was delivered to the Indian Air Force on 26th December 1957 with serial IM-1713. After test flying at Downsview, it was packed into a crate and shipped to India, where it was re-assembled and entered service. 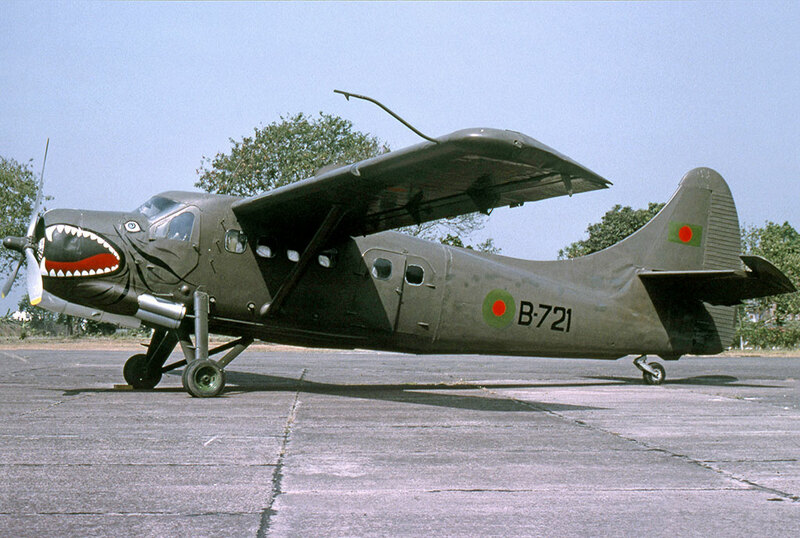 IM-1713 was one of two Indian Air Force Otters transferred to the Bangladesh Defence Force, Air Wing in May 1973. It was allocated serial B-721 and continued in service in Bangladesh until it made its last flight on 9th August 1977. During its period of operation in Bangladesh it had been used for training and aerial photography. It had to be withdrawn from service as various components became time expired. 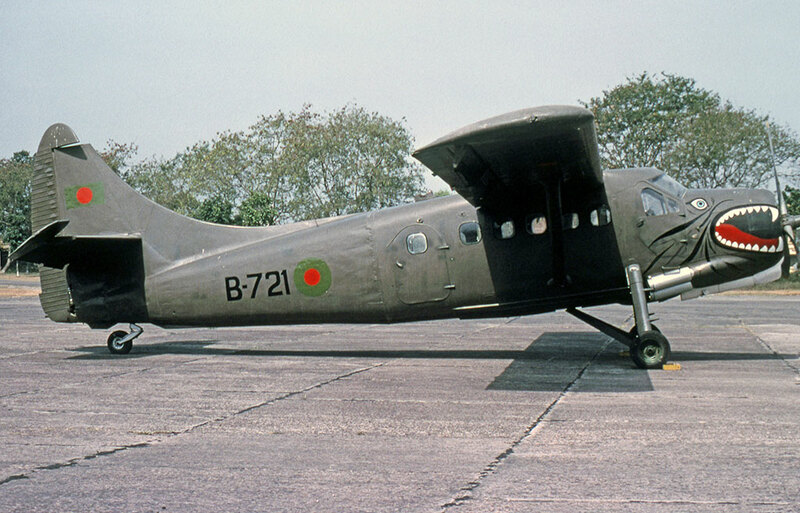 The Otter remained parked at Dacca, where it had been based, until donated to the Bangladeshi Armed Forces Museum in1981. A July 1999 report summarized the then position: “Tucked away in a corner of Dacca's old Tezgoan International Airport, itself part of the sprawling Bashar military base, is a collection of 18 aircraft destined to form the nucleus of the Bangladeshi Armed Forces Museum. A site has now been earmarked for the museum in the city, near the old airport. The most interesting aircraft in the collection is a DHC-3 Otter, used during the 1971 war which led to the creation of Bangladesh”. The Otter was painted with an impressive set of teeth on the engine cowling.